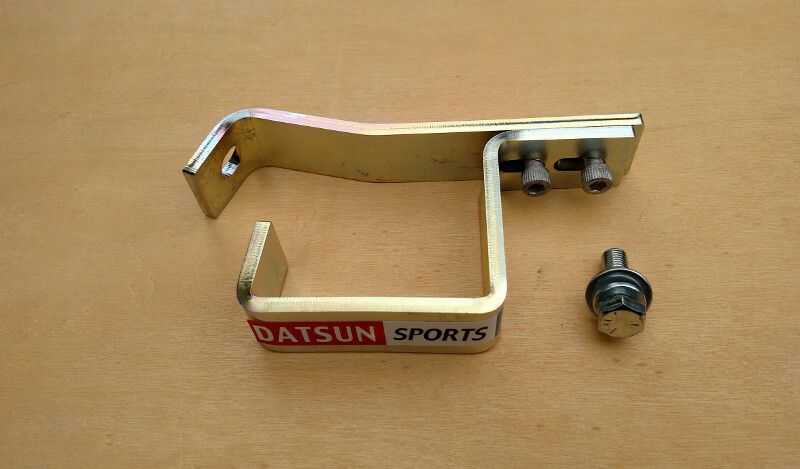 a structural problem that plagues many Datsun roadsters. The original fuel tank supporting structures are spot welded to the trunk floor. In many cars these structures are just not up to the job and allow the trunk floor to crack. 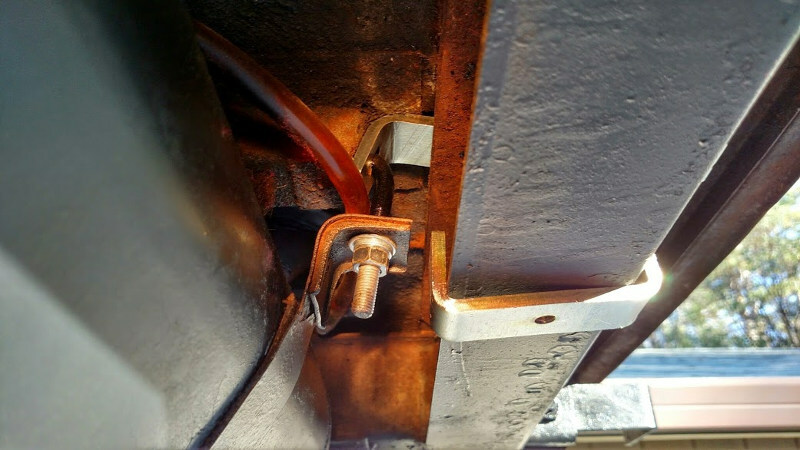 Cracking from metal fatigue usually begins on the passenger side, but can occur on both sides. 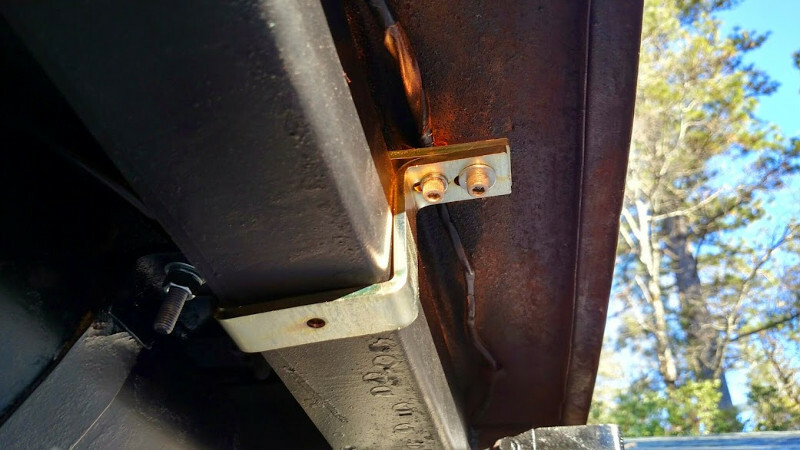 Most cars can be helped by installing my support brackets that transfer load to the frame. 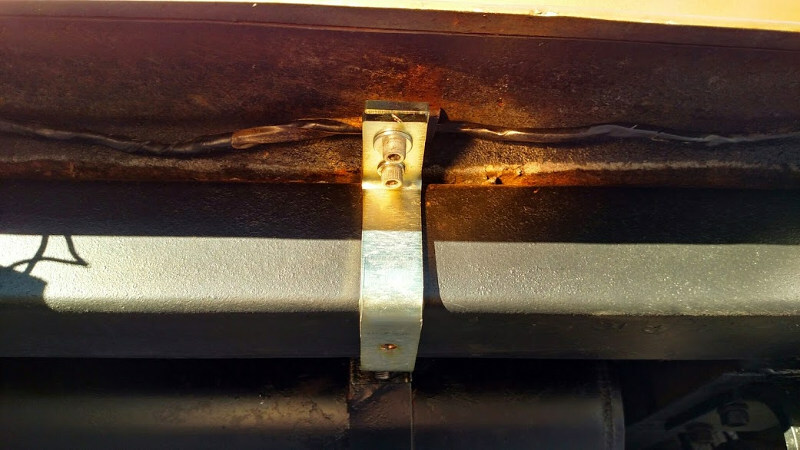 My tank support bracket allows the continued used of the original fuel tank straps. Easy, bolt-on installation! no welding required! $125 each. $220 for a pair (if needed), both include shipping. Call Mike at 415-828-8778 or email Mike.